Experts at the heart of industry. Power Supplies: A full line of switching power supplies. 1 amp to 40 amp, UPS monitoring, DC to DC. 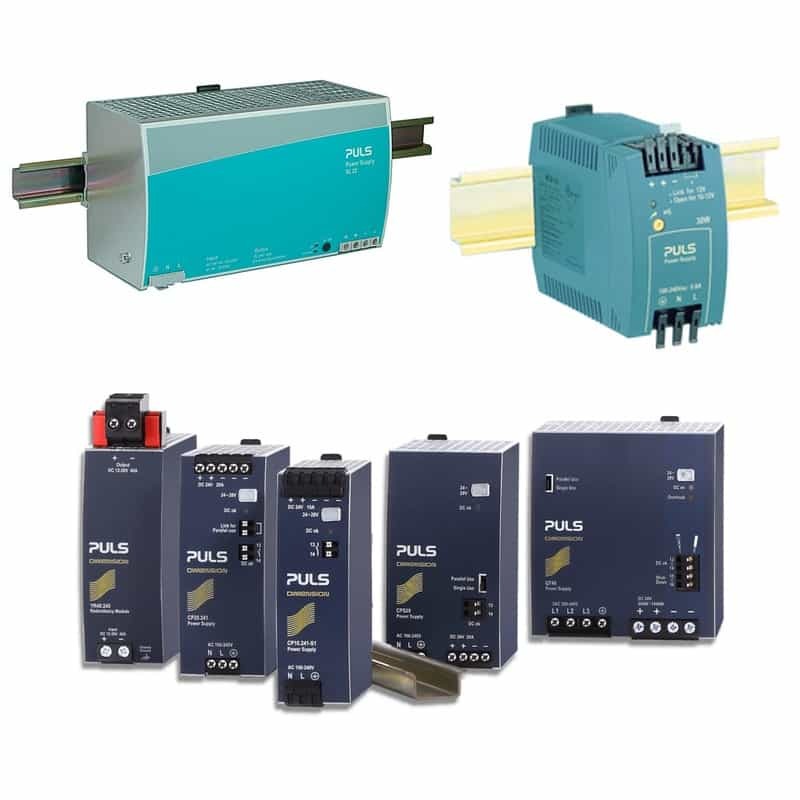 PULS specialises in DIN rail power supplies for industrial applications. Products include: Single-phase power supplies; Three-phase power supplies; DC/DC converters; Power supplies with IO-Link port; 24V 10A power supplies; 24V 20A power supplies; AS-Interface power supplies; DeviceNet power supplies; Power supplies with conformal coating; Integrated decoupling function. Please fill in the short form below and a PTI Representative will contact you immediately. © Copyright Process Technology Inc. All Rights Reserved.